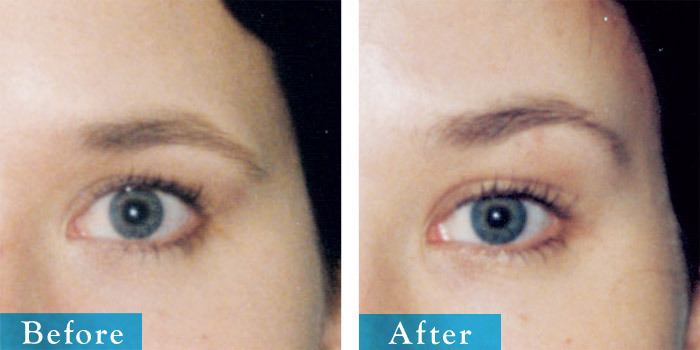 View Edmonton endoscopic forehead and brow lifts before and after pictures. Surgeries completed by Dr. Keohane with more than 20 years of experience & 1000s of surgeries. If you are concerned about the appearance of lines and wrinkles and feel that a permanent solution is needed, then forehead or brow lift surgery may be right for you. This cosmetic procedure raises the brows and lifts the eyelids to open up the area around the eyes. Brow lift surgery can also smooth out frown lines and wrinkles on your forehead and between your eyes to give you a more youthful, less serious appearance. Forehead surgery improves what are commonly referred to as frown lines, vertical creases that develop between the eyebrows and re-positions a low or sagging brow that can hood the upper eyelids. To arrange an initial forehead or brow surgery consultation call us or complete our simple online inquiry form for Surgical procedures.